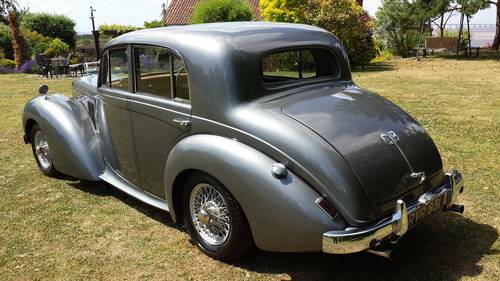 1955 Alvis TC21/100. 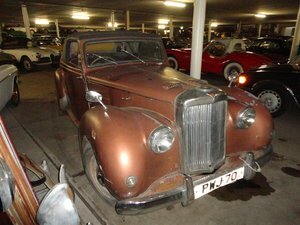 Previously owned by Sir George Burton, Brooklands driver, Alvis enthusiast and long-time collector. Immaculately presented after recent bare-metal (wings and doors off and windows out) restoration. 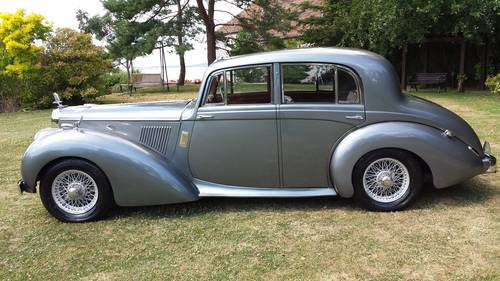 Meticulously-finished in classic grey, with wire wheels and good chrome-work. Immaculate interior woodwork, expertly reupholstered in red leather with new grey headlining and trim. Good mechanicals, used sparingly, recently serviced and running well. One of the very best. 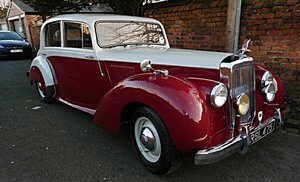 A super motor car and example of this Alvis model. 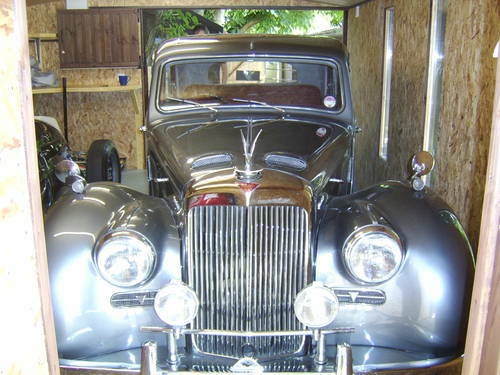 An older restoration, but very well done and with no expense spared. Photographs of the body off restoration. Light, quite and agile, with very nice history. Paint, chrome and interior excellent. Mechanically super. Sold with 12 months MOT. Matching numbers. Many new parts, too numerous to list. Ring for details. 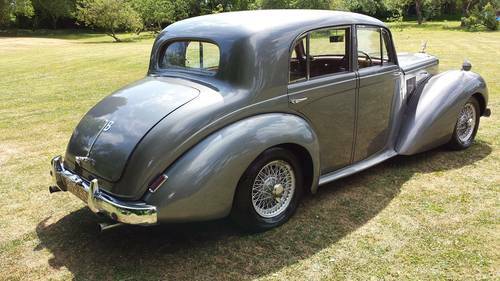 1954 Alvis TC21/100 "Grey Lady"